This white gold engagement setting from the Verragio Venetian collection will take her to another place and time. 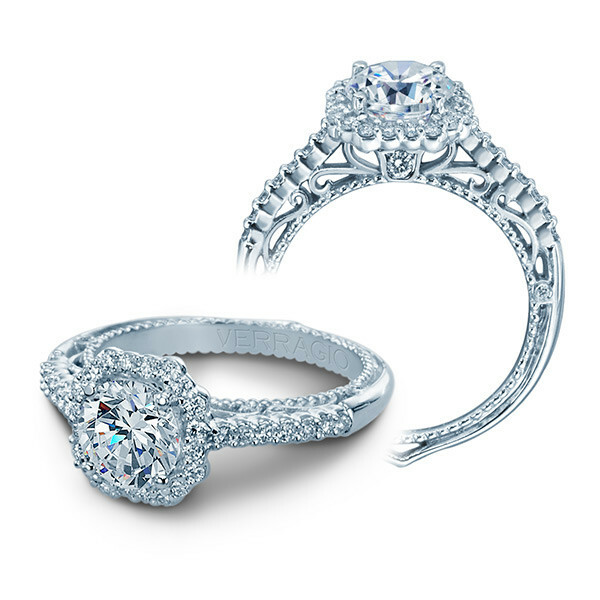 Your round brilliant center diamond will be surrounded by an eight-sided diamond halo. The gems blossom like a flower, to display a bouquet that will last forever. A look at the mounting from the side shows a single diamond at rest beneath the center stone, as well as precious metal scrollwork and French beading. She'll say "I do" to you and this engagement setting!